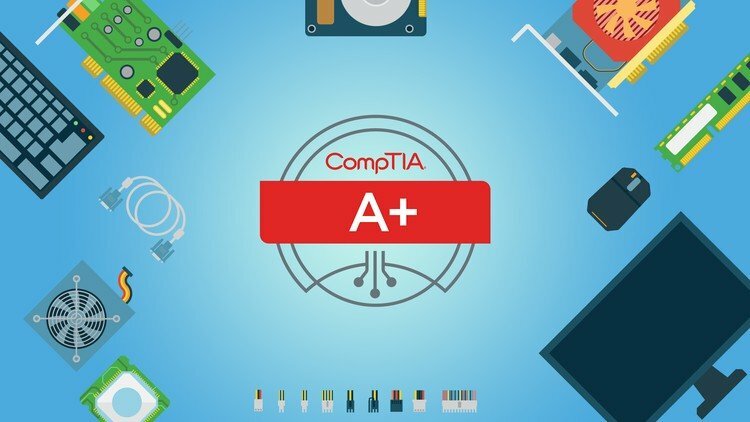 The CompTIA A+ Certification is an internationally recognized testing program sponsored by the Computing Technology Industry Association (CompTIA) that certifies the competency of entry-level service technicians in the computer industry. It lets employers know your achievement level and that you have the ability to do the job right, because you have the knowledge, technical skills, and customer relations skills necessary for a successful computer service technician career. No knowledge of computer and/or IT is required to attend this program. The CompTIA A+ Certification is divided in two parts: Core Hardware and Operational Systems Technologies. Our CompTIA A+ Certification Training Program matches the requisites of both modules. * Participants can still join 2 weeks after class commencement date. Duration: 46 hours over Six (6) weeks. Three (3) hours daily Mondays,Wednesday Fridays. Multiple training delivery methods are employed including Lectures, Demonstrations, Practical, Self Practice and workshop using real life case study with particular reference to Nigerian situations. The training is at least 80% practical. To start his own computer repair business. Have individual confidence and security in being a part of today’s IT world. Be able to sit for and pass compTIA A+ Professional exams. HiiT ICT Training Centre @ Public Service Institute of Nigeria (PSIN): Dutsen-Alhaji Junction Km 30 along Abuja - Kubwa Express way.